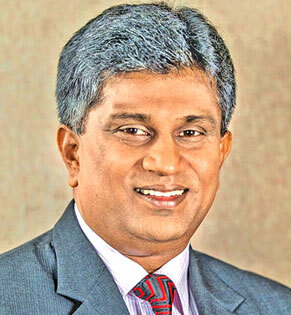 The government has decided to move on with a tendering system to purchase renewable energy sources particularly solar and wind power while canceling the existing licensing system, Deputy Minister of Power and Renewable Energy Ajith P Perera said. As per the policy, in power generation, the government will invest in infrastructure, development of the systems, but the government will not invest in power generation. With regard to solar power, Sri Lanka opened a competitive tender in this regard as a result the country managed to reduce tariff from Rs 22.10 per unit to Rs 17.01 per unit. In 2016, May the government opened the same tender with regard to wind energy, through that tariffs were reduced from Rs 19 per unit to Rs 12.29 per unit, registering more than 40% reduction. In addition, the government has instructed the Ceylon Electricity Board to carry out the purchasing of solar energy at a very systematic and transparent manner. During the next couple of months, the government will call tenders to purchase 875 megawatts of power. Moreover, a special presidential committee on instructions of President Maithripala Sirisena has been established on energy demand side management. Plans are also afoot to distribute 10 million, 9 mega watts bulbs among 2.8 million consumers in the near future with the objective of curtailing the demand for electricity by 300 megawatts.